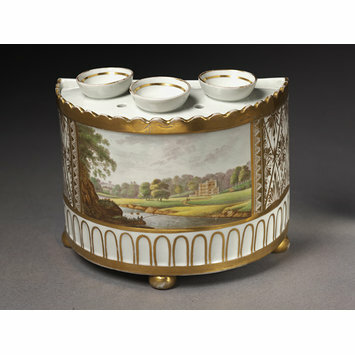 Flower holder with cover of hard-paste porcelain painted with enamels and gilded. 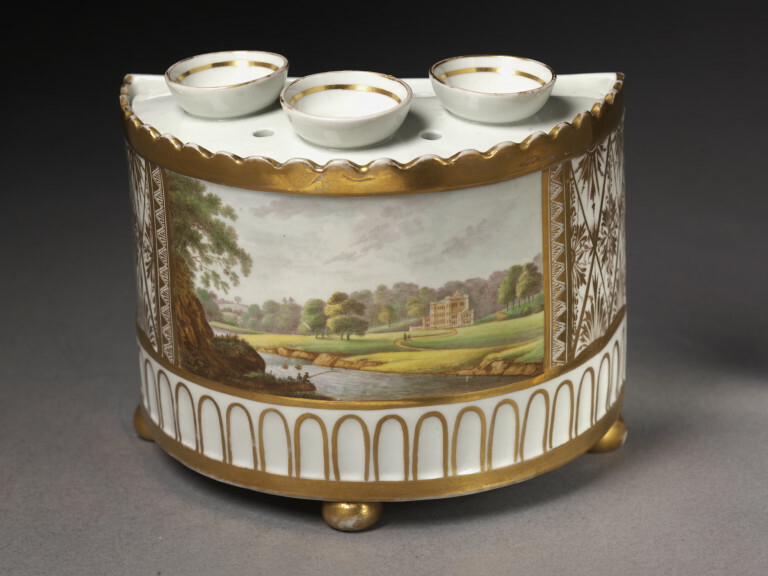 Flower holder with cover of hard-paste porcelain painted with enamels and gilded, J. & C. Whitehead, Hanley, 1799-1802, possibly painted in Mansfield by W. Billingsley.